So let me get this straight, no Jason Bourne, a new "hero", a stand-alone project... sounds like a reboot to me, especially if they're continuing with a CIA super-agent who's on the run. "The easiest way to think of it is an expansion or a reveal," Gilroy added. "Jason Bourne will not be in this film, but he's very much alive. What happened in the first three films is the trigger for what happens. I'm building a legend and an environment and a wider conspiracy… the world we're making enhances and advances and invites Jason Bourne's return (down the road)." Okay, I guess that's kind of cool. But I still think they should put this franchise to rest, even if Damon was open to reprising his role. It ended so brilliantly! And now with Damon out, I don't see this sequel being nearly as cool. Although Gilroy does have some interesting concepts, I'm still annoyed Damon's not returning. I don't think I'm alone when saying that either. "Everything you saw in the first three films actually happened, and everyone who got into will be rewarded for paying attention. We're going to show you the bigger picture, the bigger canvas. When you see what we're going and see what we're doing it'll be pretty obvious." The Bourne franchise had a fantastic finale in 2007 with The Bourne Ultimatum (which is actually my favorite in the series), but since then it has been on a rocky road because Universal wants more, but no one else does. They've hired countless writers to take a crack at a story and honestly I don't even know who's behind the script that Gilroy's using. Whatever the case, we at least know where they're headed now. I'm actually intrigued now...I was disappointed Matt Damon is not returning but reading this makes me think there just might be a chance this is good. they definitely better get someone as good as Matt Damon to be the "hero"- someone who he would pair well with(just in case he does return) however if Jason Bourne is not in it- I must question the title of "bourne"
What are they gonna call it? Bourne Again? Bourne Less? THe Periphery of Bourne? I think it's just gonna wind up being The Unwatched Bourne. No Matt = I won't see it. What's the point? Maybe a rental. 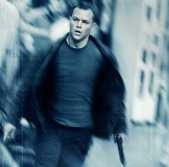 I really liked the Bourne Identity and am saddened that Matt Daman won't be in it. The last episode was excellent I was hoping he'd continue on with the series. Will have to wait and see.